Fancy shoes, dancing shoes, shoes with a big red bow. Shoes for stomping, shoes for walking, and shoes that pinch your toe. Red, pink, or blue shoes. Which ones will you chose? Shoe Doodle is the app for everyone who knows you can never have enough shoes! Do you need a leopard-skinned sneaker with a stiletto heel? Done! How about a black pump with red racing stripes? Done! High tops with rhinestones and a pinwheel? Yep! The possibilities are limited only by your imagination. 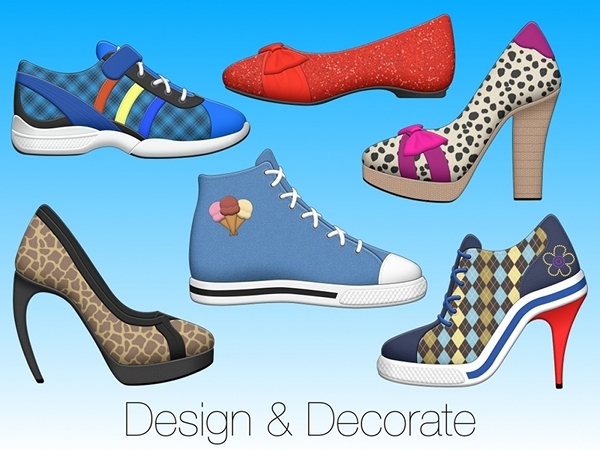 Design the perfect shoe with Shoe Doodle!